Have you struck the weight loss plateau? I often hear my clients mention that they started of on the ‘diet-exercise’ regime quite well and managed to knock off a few kilos. However, after a certain time the pointer on the weighing scale just won’t budge. They are still doing all the right things and pushing even more – but all of a sudden it seems everything stops working! If you are experiencing something similar, then I am here to inform you that you have struck the dreaded plateau! Take heart. The weight loss plateau is a normal phenomenon and it strikes pretty much everyone on the weight loss bandwagon. You start on a new regime and combine healthy eating with exercise. After a couple of weeks, you drop a few kilos and rejoice. As you start losing weight initially which is mostly water weight, you also start to lose some muscle mass along with it. Now we all know that muscle mass is the factor that keeps the track of how many calories your body is burning and at what rate a.k.a. METABOLISM. Hence this inevitable loss in muscle drops your metabolism and hence you burn calories at a much slower rate and land up on a plateau where this adaptability of your body can keep up with your current weight but won’t make a difference further. As the set point theory explains, your body resists this change and fights back to return to your set point. This is the prime explanation of what leads to a plateau. People hit the plateau for several reasons but how your body functions through it remains the same. How to break through the weight loss plateau? To lose weight you need to consume a stellar diet, undergo rigorous workouts and make moderate lifestyle changes. But once the plateau hits, you need to reconsider and tweak these parameters for a quantum leap through the plateau. If your nutrient and portion intake on day 1 is the same after reaching day 40, you need to reassess your intake. At this point of time, your body starts playing tricks on you. With your weight loss journey, your body adapts to the nutrient deficit thinking of it as a famine situation and cuts down on burning calories and in turn slowing your metabolism. If you cut off your intake further, you won’t be able to progress as your body will adapt to that as well. In these situations, you can try caloric cycling and alternate between low and high nutrient density meals. 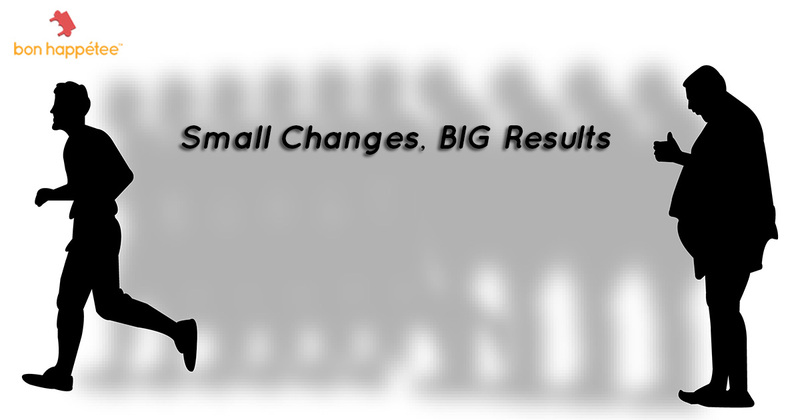 Alternate your current meals with low-carb meals with reduced portions to accelerate progress. Research shows that for every gram of fiber we eat, our body spends 7 calories to work on it. 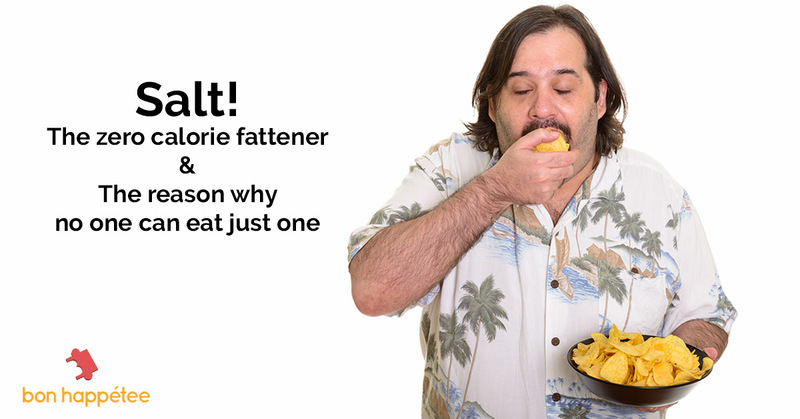 That means, a diet comprising of 30 gms of fiber a day helps to burn 210 calories just like that! This nutrient from our diet is filling, boosts our metabolism, prevents and fights diseases and does a lot more. Thinking of swapping your choco-chip cookie for some fresh strawberries? We think you should! 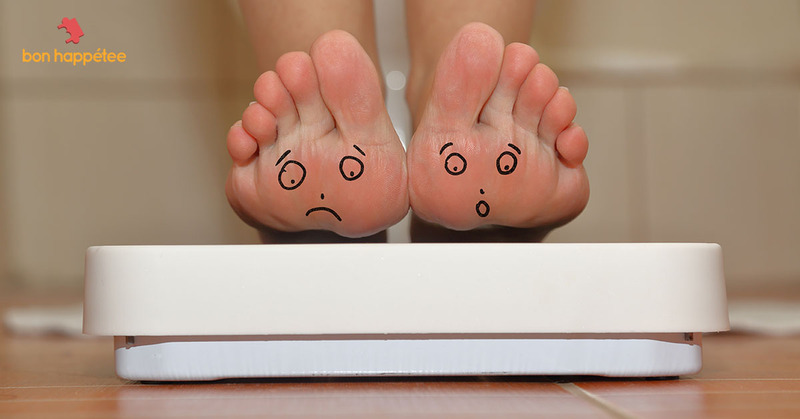 Sometimes if your scale is not budging, it might be because of a simple fact that you have retained water in your body. Water retention and bloating are common occurrences due to excess presence of sodium in your diet. Water attracts sodium like a magnet and may just accumulate in your body. Along with keeping a check on table salt consumption, cut back on processed foods, preserved meals and fast foods to avoid excessive sodium intake. Water is the most underrated and powerful component of any health regime. Drinking water throughout the day will help you flush out toxins, boost metabolism, power you through your workouts, accelerate performance, get rid of bloating or water retention and serve as a magic pill for combating hunger pangs. With the same routine, same exercise regime and repeated music, exercising becomes an obligation. Break the pattern and try a new activity every week – from skateboarding to bokwa, sky is the limit! Try and include high intensity interval training, fun activities and refreshing new workouts to push yourself harder. Every individual who has been on this road and taken this journey can tell you that it is not just about what you do at the gym or what is on your plate thrice a day, but it is also about what you choose to do before and after these activities. Nobody loses weight by eating salad thrice a day and slouching on the couch. As a nutritionist, I see that lifestyle hacks play a role as important as dietary modifications. Start structuring your diet and meals, think positive, practice portion control, breathe deeply to fight that impulse of grabbing a chocolate bar. Also, be active throughout the day. Take stairs to work, do your own laundry, do the dishes yourself and walk to the coffee shop. Here’s to all the mid-night binge-TV series watchers and the night owls, your lack of sleep is what could be hampering your weight loss progress! Lack of sleep could leave you exhausted, groggy and could affect your metabolism for worse. Log on good 7-8 hours of sleep to ensure the lack of it is not affecting you and your health goals. Do not despair! Stressing over eating healthy and clean all the time and not looking at the whole picture may be the reason you are not progressing in your weight loss journey. 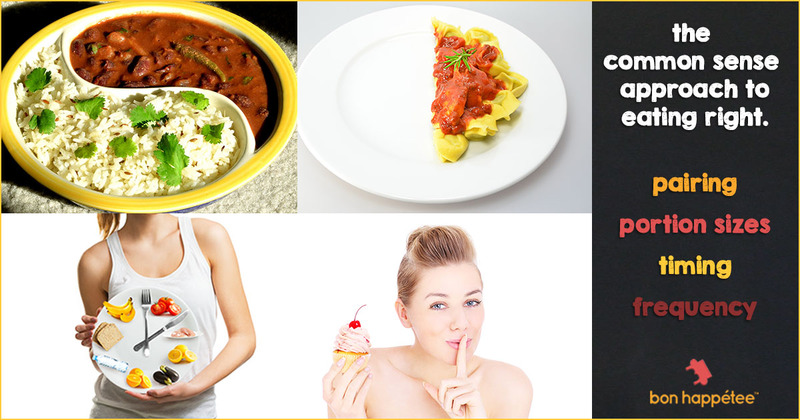 Eat to nourish your body, satisfy your cravings and face the outcome of the choices you have made. Go grab that slice of cake you have been ogling at and loosen it up on the dance floor once in a while! And the best advice of all – Think healthier rather than thinner! Akansha is the Founder and Consultant at Beyond the Weighing Scale. With a wide range of expertise and skills, she is adept to speak about nutrition, health, lifestyle management and physical activity. She is a popular food columnist, a passionate foodie, a health enthusiast, an avid traveler and a happy yogi. Why Track What You EAT? Great info. Blessed me I reach on your own website by accident, I bookmarked it.